Hangzhou dishes are best representative of Zhejiang cuisine, which is one of the eight representative local cuisines of China. 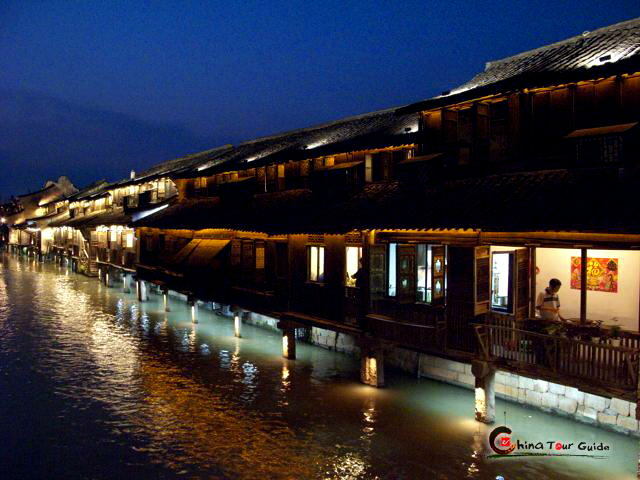 Hangzhou dishes are noted for its elaborate preparations, sophisticated way of cooking and its most refreshing taste. 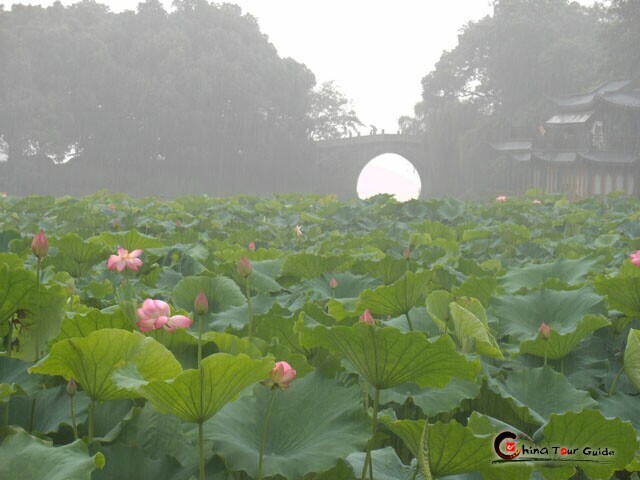 It is not only delicious, but extremely elegant in appearance also so beautiful as to equal the Hangzhou landscape. 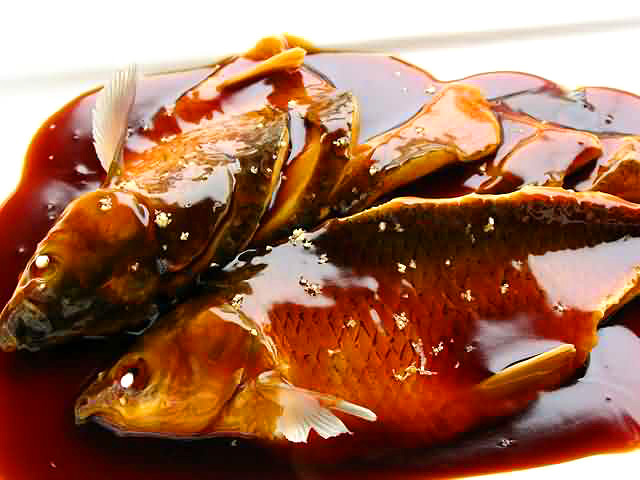 There are more than 40 famous Hangzhou dishes, including West Lake Sour Fish, Beggar's Chicken, Fish head and Bean Curd, Dongpo Pork, Shrimp Meat with Dragon Well Tea, West Lake Water Shield Soup, and Sister Song's Fish Soup. 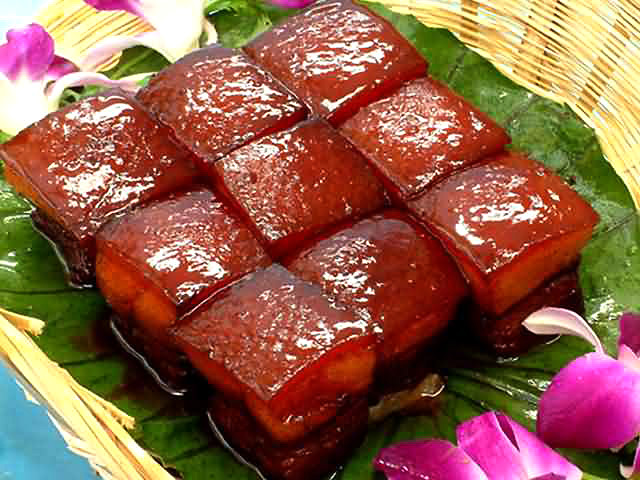 Among them, there are five famous dishes that are a must for visitors: Dongpo Pork is named after Su Dongpo, a famous man of letters of the Song Dynasty. This dish a little fatty, but not oily. West Lake Sour Fish features tender fish meat with sweet and sour sauce. Sliced meat with crispy rice is a major dish in Hangzhou. 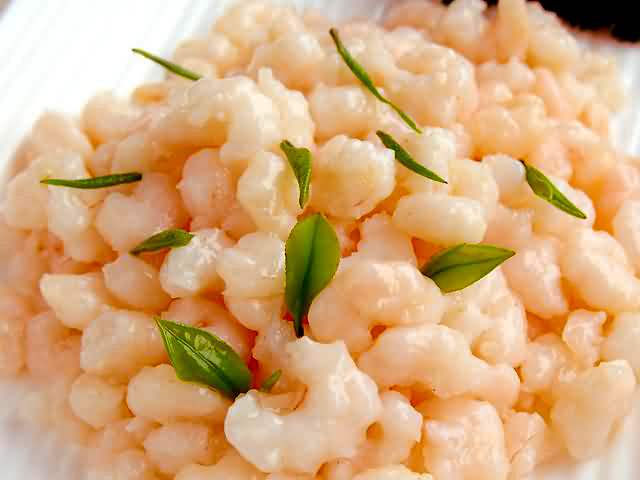 The meat tastes soft and tender while the rice is crispy, forming a sharp contrast with the former.